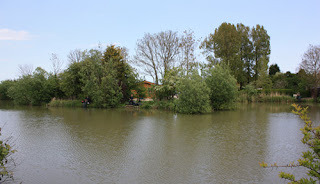 Saltfleetby Fisheries is a family run fishery and adults only touring and camping site situated just outside of Louth in Lincolnshire. We are perfectly placed for those wishing to explore this beautiful part of the East of England. All pitches are within 100 yards of the lakes and on site we have a café and a bait and tackle shop. The café can seat up to 40 people and all food is prepared fresh and made to order. We also have a tackle shop with is stocked with a wide selection of fishing tackle and all types of bait. Our site is situated on the B1200 in the village of Saltfleetby, close to the Lincolnshire Wolds, a designated Area of Outstanding Natural Beauty. Saltfleetby's location really is ideal to reach the wide variety of attractions that Lincolnshire has to offer.